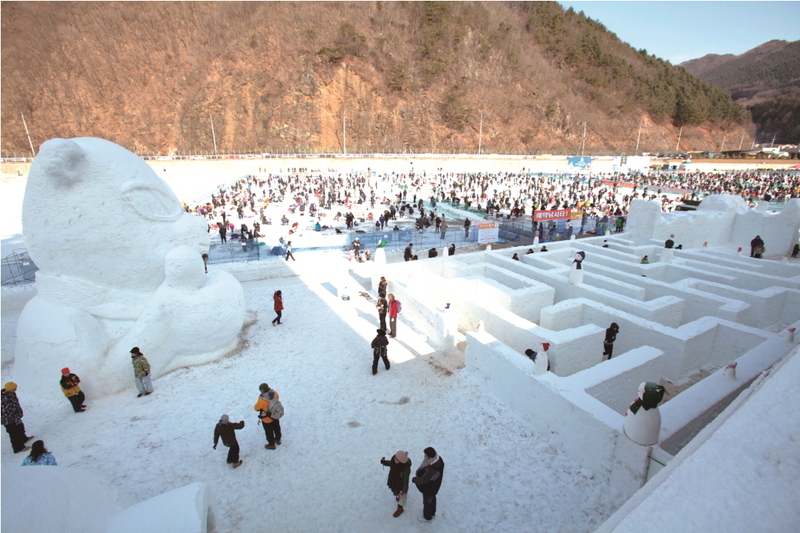 Selected by CNN and the Lonely Planet as one of Asia’s top winter festivals, the Hwacheon Sancheoneo Ice Festival (Jan 5–27) is the time to visit this wild piece of Korea. 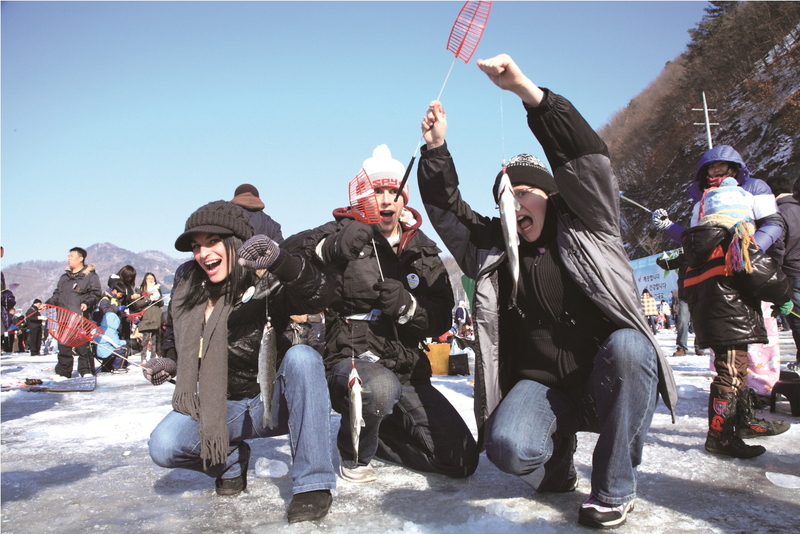 This fun event, a celebration of the region’s famous mountain trout (Korean: sancheoneo), features ice fishing (including bare-handed ice fishing! 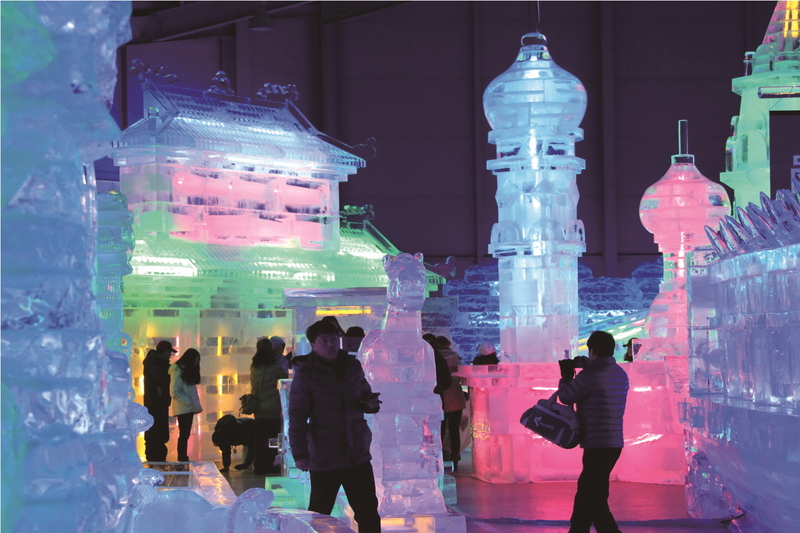 ), ice sculptures, good food and plenty of cultural events. Seoul is a sprawling megacity encompassing a staggering 605.21㎢. The seemingly endless asphalt roads and skyscrapers reaching for the sky allow for some ten million-plus permanent residents (and another ten million in the surrounding areas). When in Korea’s nexus, it’s not impossible to find great restaurants or beauty, but what is nearly impossible is finding wide-open spaces. For this, nature lovers must trek to the countryside. 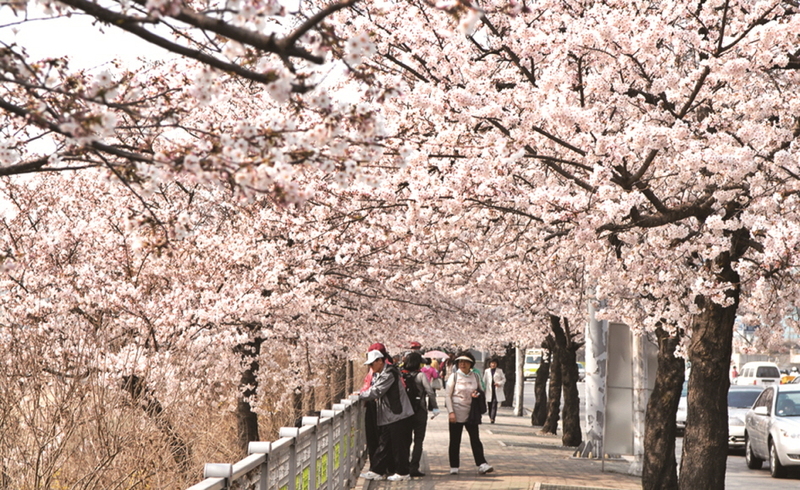 A number of rural towns are worthy of such excursions, but rarely do many get a tourism boost along the likes of Hwacheon (화천) in Gangwon-do Province. Situated close to Korea’s Demilitarized Zone (DMZ), Hwacheon boasts a relatively small population of just over twenty thousand souls. In fact, being so close to the border, the town has a significant military presence that can’t be ignored. 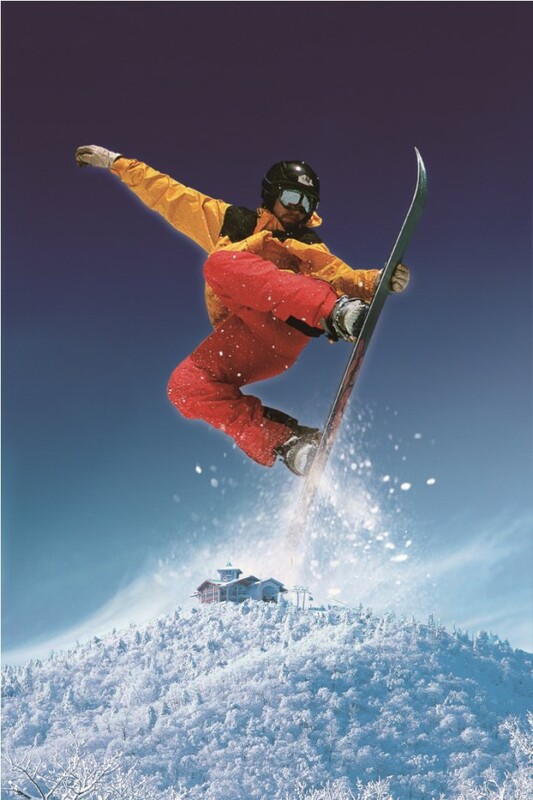 Most of the year, the military outnumber civilians, except in January when over one million people descend on the small hamlet for the annual Sancheoneo (Mount Trout) Ice Festival (Jan 5–27, www.narafestival.com). 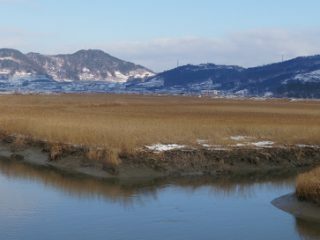 Unlike the populated metropolis to the east, Hwacheon is still very much a slow, rural town. Peering at a local tourist map gives the illusion that the town is much larger than it really is, for one can easily walk from one side to another in under an hour. 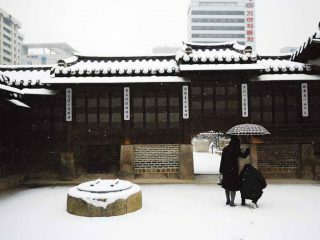 During winter, crisscrossing the narrow, icy roads elicits memories of walking through American towns of the same size, a most welcomed change from the hurried life in Seoul. Carving through the earth’s crust, a winding waterway creates some great spots for fishing year round, although the city is most known for the wintery version of this pastime when ice creeps over its surface. 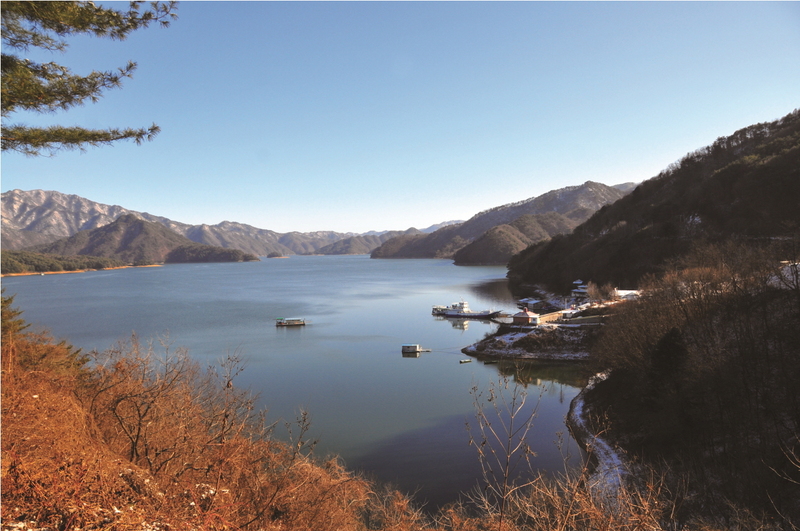 Since Hwacheon isn’t burdened with buildings reaching for thesky, those visiting enjoy uninterrupted views of Gangwon-do’s blue skies, peppered with puffy white clouds. When views are periodically obstructed, it’s by the hilltops rising up from the earth. Photography enthusiasts benefit from this, as there is no shortage of interesting angles and subjects to capture. One can’t travel on an empty stomach, and let’s face it, if you’re making the trip away from Seoul, by the time you make it into town—you’re going to want something to eat. Like most of Korea, there are several major franchises staking claims on street corners, luring you in with specials of the month. However, as anyone can tell you, the charm of small towns is in the family-owned restaurants—the ones that exist in only one location and offer truly unique experiences. Hwacheon, with its proximity to water, is famous for its fresh seafood, but the culinary talents don’t end there. Among the city’s specialties are Ode and Togomi Rice—special pesticide-free grains that are wind dried and stored in low temperatures. The area also has many tomatoes, so it’s no wonder that residents combine this fruit with the region’s famous potatoes to make some savory rice cakes. But for the carnivorous traveler, sampling Hwacheon’s Jasira Pork might just be the winning ticket. According to locals, the swine meat is low in cholesterol thanks to its unique diet, which includes powdered pinecones. Adjacent to the intercity bus terminal is Gangmi Restaurant 강미식당 (T. 033-442-5252), a family-owned restaurant known for its delicious and healthy-sized portions. If arriving around lunchtime, be sure to get there early, for it is not uncommon to find every table filled shortly after the noon hour. 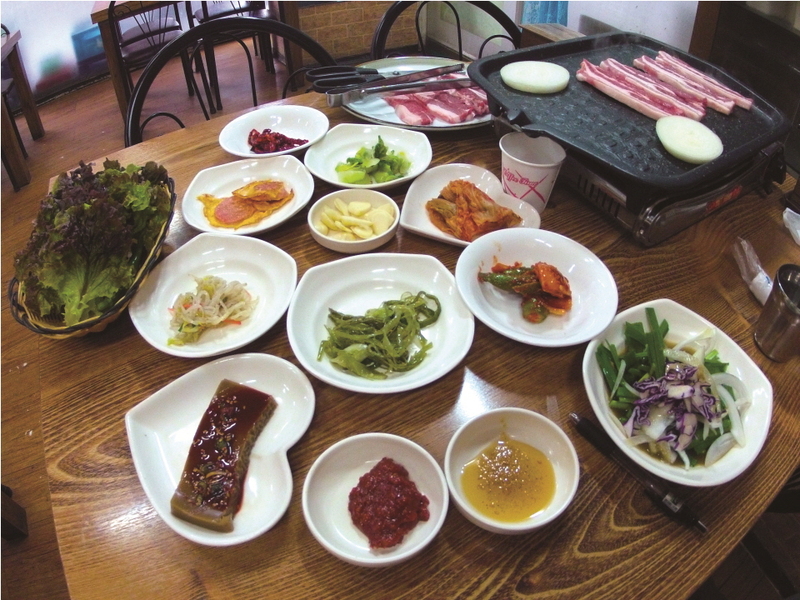 The samgyeopsal (pork) arrived on a plate accompanied by a host of side dishes sure to satisfy any appetite. Slabs of samgyeopsal were served fresh and thick. Eyeballing each strip of pork, I estimated each was easily more than two centimeters thick, and when placed on the grill, they created a delightful sizzling sound. While I cannot attest to any unique flavor induced from powdered pinecones, I can confirm the meat was tasty and hit the spot. One might think the best thing to do in such a small mountain town would be to sit and watch the grass grow. Nothing could be further from the truth. 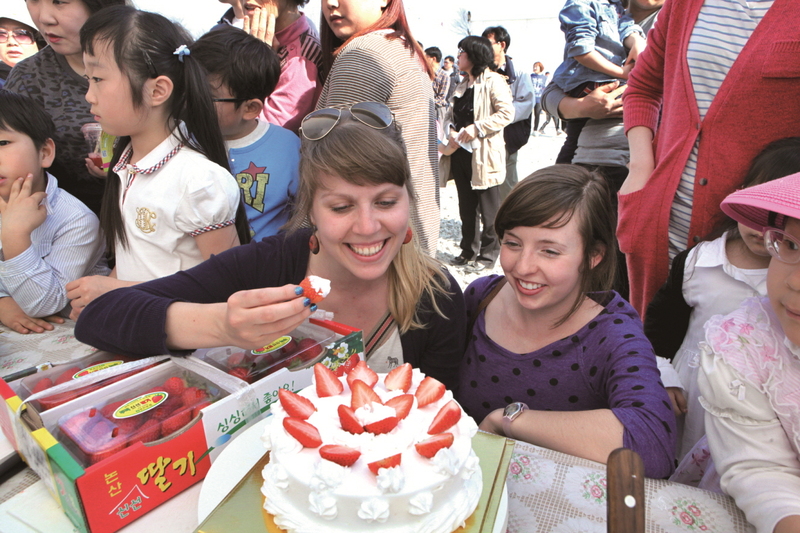 The city operates weekend tours to several popular destinations, including some inside the DMZ. 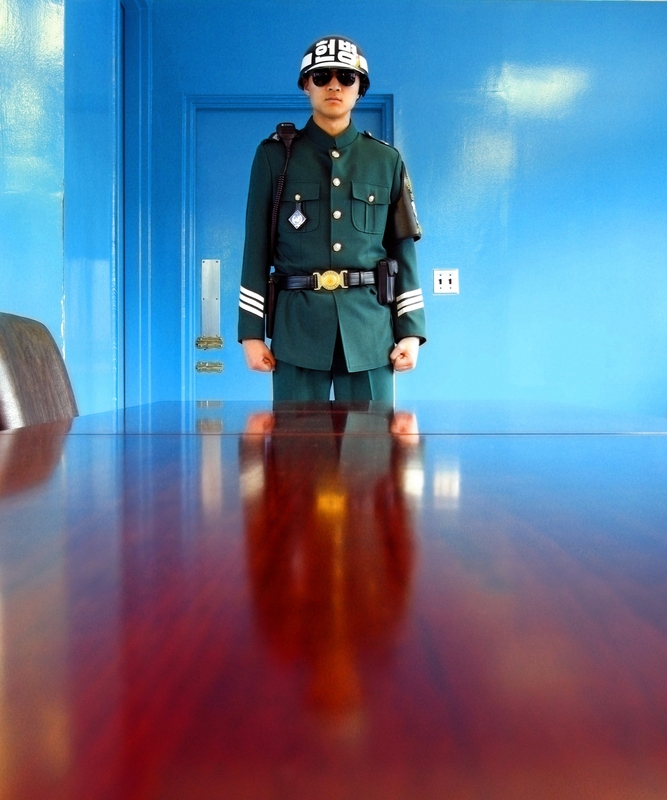 Tours are limited to twenty people and reservations must be made and paid for ten days in advance (to gain DMZ access). 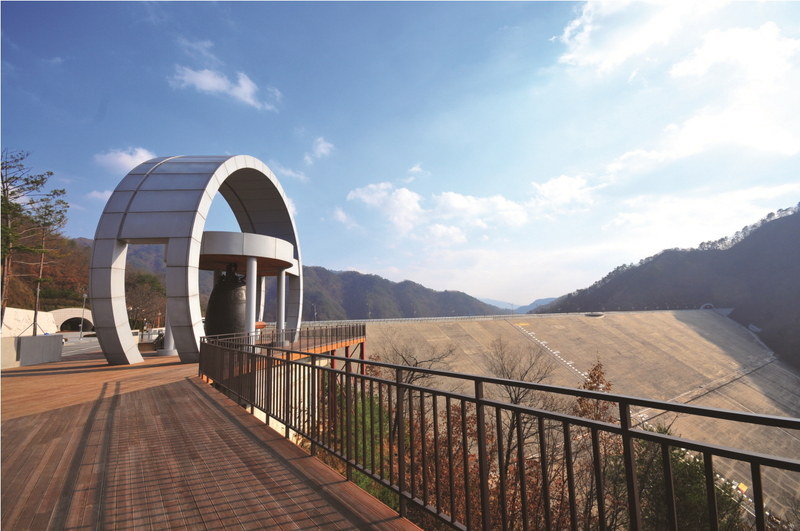 Stops on this daylong tour include the Hwacheon Folklore Museum, the Peace Dam, local nature sites, and museums. The tour costs 15,000 won (13 years and over) and 10,000 won (12 years and under). 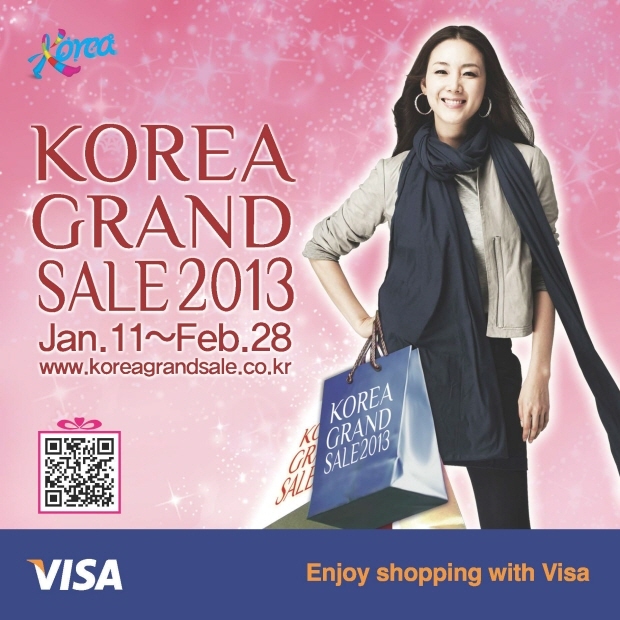 For more information, reservations, and payment instructions visit http://ihc.go.kr/tour (T. 033-440-2852). Since the aforementioned tours are fairly limited in size, most traveling to Hwacheon will be setting out on their own. Bus service is available but isn’t nearly as robust as Seoul’s transportation, so getting around to local attractions may mean venturing out in the cold winter air or, better yet, by taxi. If making the trip in summer, ample biking and walking paths circumnavigate the city, leading to a most decidedly awesome outdoor experience. Some of the more interesting things to see in and around town are Watermill Park and the Mount Ddansan Waterfall. Just a five-minute walk from the bus terminal, the watermill is the nation’s largest, measuring a staggering 15m in diameter. 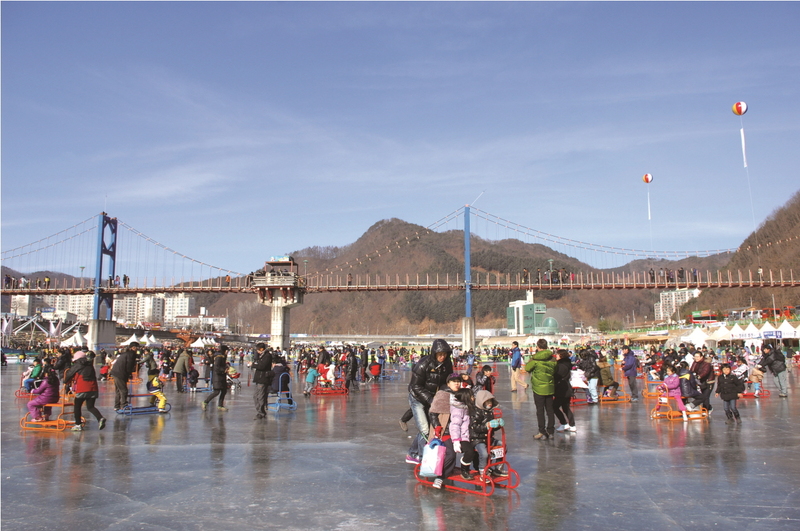 The park isn’t bustling with activity on most winter days, but inventive visitors make use of the gentle slopes surrounding the park’s central pedestal by sliding down and frolicking in the snow. in 1944 and played a significant and bloody role in the Korean War. A beautiful pavilion overlooks the reservoir, providing an exceptional backdrop for stunning photographs. There are about 20 or so motels and yeogwans (Korean-style inns) in Hwacheon. Most are pleasant enough and offer rooms at around 35,000–50,000 won a night, depending on the time of year and their size. If you are looking for something a bit more luxurious, you might want to look in Chuncheon, where there is a much wider range of accommodation. Direct rail service isn’t available to Hwacheon. The only way to arrive in this mountain town by public transport is by bus. Direct intercity buses leave from Seoul’s Dong Seoul and Sang Bong terminals. Each has buses leaving throughout the day. The trip from Dong Seoul takes 2 hours 40 minutes and will set your bank account back 12,900 won. Those wanting a more scenic trip have the option of taking the new ITX from Yongsan Station to Chuncheon (departing every hour, on the hour). The trip takes just over an hour. Once in Chuncheon, cross the street outside Exit 1, veer left towards the bus stop, and wait for the intercity bus bound for Hwacheon. There are thirty a day, about two per hour. For extra help in making the transfer, a Tourist Information booth is located just outside the station. The ride from Chuncheon to Hwacheon is about an hour, putting one’s total travel time at just under two hours, provided all connections are made. It’s a faster and cheaper alternative, especially if getting into central Seoul is easier than making it to either Dong Seoul or Sang Bong Terminals.